Stocks rose to new highs on Tuesday, Jan. 9, with the financial sector gaining amid optimism ahead of the start of corporate earnings season. The Dow Jones Industrial Average rose just over 100 points, or by 0.41%, and the S&P 500 rose 0.13%. The Nasdaq gained 0.09%. All three indexes scored fresh records. JPMorgan Chase & Co. (JPM - Get Report) and Wells Fargo & Co. (WFC - Get Report) are scheduled to release fourth-quarter earnings on Friday, Jan. 12. The Financial Select Sector SPDR Fund (XLF - Get Report) gained nearly 1% on Tuesday. The Dow was led higher by Johnson & Johnson (JNJ - Get Report) and Boeing Co. (BA - Get Report) . The aerospace giant rose 2.7% after saying Tuesday it delivered 763 commercial airplanes in 2017, one more than its previous high set in 2015. Johnson & Johnson jumped by 1.5%. The dollar index, a measure of the greenback's strength against a basket of six global currencies, added 0.25% on Tuesday to change hands at 92.57, thanks in part to modestly higher U.S. Treasury bonds yields and profit-taking in the euro, which has the largest influence on the dollar basket. Intel Corp. (INTC - Get Report) CEO Brian Krzanich said in his keynote address Monday at CES 2018 that the chipmaker signed new partnerships with Chinese automaker SAIC Motor Corp. and Chinese mapping firm Navinfo. The stock fell 2.5%. Microsoft Corp. (MSFT - Get Report) said Tuesday that some of its customers with devices that use chips designed by Advanced Micro Devices Inc. (AMD - Get Report) could not restart them after installing a recent security update and that it would temporarily halt the "patches" designed to correct recently revealed security flaws. AMD shares fell 3.7%. AMD's Stock Plunge a Can't Miss Buying Opportunity? 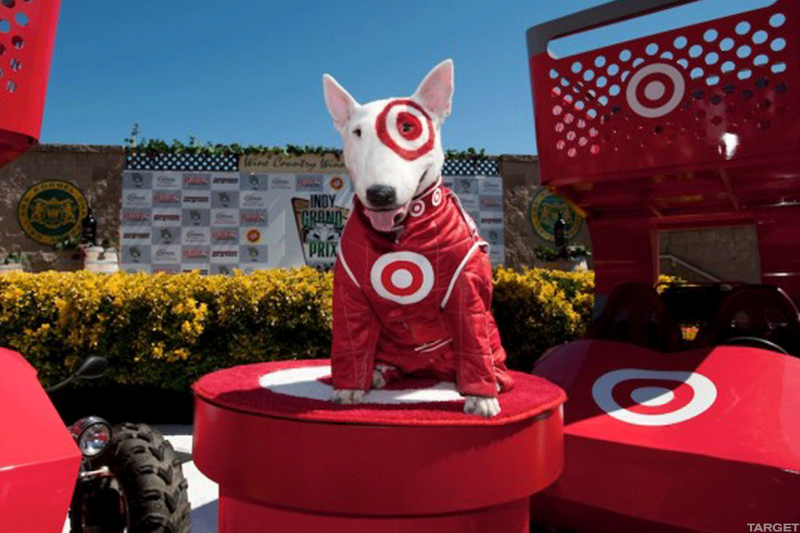 Target Corp. (TGT - Get Report) shares rose nearly 3% after the retailer joined a handful of its peers that have reported positive comparable-store sales growth in the holiday period between November and December, driven by strong traffic and e-commerce sales. The big box chain reported on Tuesday, Jan. 9, comp growth of 3.4% and an expected 25% growth in digital sales. Urban Outfitters Inc. (URBN - Get Report) tumbled 4% after the retailer said comparable-store sales in its retail segment rose 2% in the holiday period, but that was offset by negative retail store sales. Jack Ma, founder of Alibaba Group Holding Ltd. (BABA - Get Report) , said he would consider listing the company in Hong Kong and increasing investment in the city, the South China Morning Post reported. Alibaba rose slightly. Shares of Altice USA Inc. (ATUS - Get Report) jumped 9.5% after its parent company said it plans spin off its controlling stake in the U.S. unit. Europe's Stoxx 600 index added 0.41% on Tuesday, while Asian stocks closed the session higher. Global oil markets extended gains ahead of what could prove to be critical inventory data from the United States later this week. West Texas Intermediate crude rose 1.6% on Tuesday to $62.72 a barrel. JPMorgan Chase and Microsoft are holdings in Jim Cramer's Action Alerts PLUS Charitable Trust Portfolio. Want to be alerted before Jim Cramer buys or sells these stocks? Learn more now.